There is a lot of talk about change in management literature and the media these days, please explain what change consultants do? This is one of our most frequently asked questions (FAQs). Change Management (or Change Implementation as we prefer to refer to the profession) is a multi-disciplinary field that studies complex human systems (families, organisations, political structures and countries) and responds to political, technical and cultural changes within these systems. This is achieved by building models, systems and methodologies that allow us to more effectively establish and mitigate the level of risk that applies to a particular change moment, and intervene in such a way that allows for successful and sustainable change in that system. Change can also be understood as the process by which an organisation moves from a current reality that is in some way limiting, to a future reality that is more viable and vibrant. In certain more complex environments, change might be what one (often minority) group dreams about, but that the majority group is unaware of or not ready for yet. A well implemented change process allows all parties to dialogue and engage with one another (themselves) in a constructive and structured manner, hereby avoiding the disruption and damage that unconscious change can bring about. What could we expect from you during an initial meeting to learn about your services? CCG places a great deal of emphasis on building relationship and trust with our clients, for the simple reason that these elements allow you to talk about the real issues that are troubling your organisation. One of the key reasons that consulting engagements fail is that the initial conversation between client and consultant is not deep and comprehensive enough to identify the core issues facing the client, and as a result any proposal that the consultant delivers is already tracking an incorrect trajectory. As a result, we would typically run an initial meeting with a client in one of two ways. The first is by way of a Credentials Presentation, which would present our approach to change and strategy implementation, (typically an outline of our implementation methodology System7™), and examples of what we have done previously that might apply to your context. Our preference, however, is to have a frank set of conversations with you which would seek to understand the commercial challenges and/or opportunities facing your business, your current market positioning, organisational and leadership dynamics that might either help or hinder a proposed change implementation programme, and areas that are of particular concern to you as client. What are some of the main reasons that change initiatives fail? This is the key question that underlies everything we do at CCG and continually drives us to improve on current practice. We are fascinated with why 70% of all change initiatives fail and have dedicated our professional work to both better understanding this difficult challenges and developing ways to practice change more effectively. 1. Inadequate contracting between client and consultant with respect to responsibilities, deliverables, outcomes sought, scope of work, span of influence and extent of ability to move freely within the client organisation. This results in ambiguity that will emerge in contradiction and possible breakdown in relationship and trust at critical moments in a change programme when this relationship and trust is most needed to resolve challenges facing the change programme. We believe that many change programmes begin to fail at this point. 2. Insufficient or often non-existent documentation of a detailed Programme Brief. This document (which could be called any number of things, we just like this name) should outline with a high level of detail the business case for a change programme, key actors, areas of identified risk and a high level mitigation strategy. The purpose of this document is two-fold: First, the process of documenting a Programme Brief is critically important to ensure that we have begun to describe the scope, size and impact of the proposed initiative. This is often not clearly understood by an organisation at the outset of a programme of this nature. Second, to encourage encourage and alignment between client leadership, which is often necessary to resolve different conceptions of a change programme, intended outcomes, who owns the budget and who has line responsibility for the programme. 3. Inadequate stakeholder mapping and engagement: A mistake made too often by internal and external change consultants is to assume that organisational rank in the company hierarchy bestows an ever-increasing degree of change influence and agency. We seek to build programme change teams that are populated by a diverse and representative sampling of individuals who often sit in a wide array of areas within the business and often with very different levels of organisational rank. 4. Lack of a documented change strategy: In addition to building a Programme Brief, we would suggest that it is key for a change programme to build a clear strategic approach to the implementation of this Brief. This requires detailed analysis of the programme risk profile, key actors in the change process and their willingness to participate, current challenges facing the organisation from a timing and resourcing point of view, and key delivery timelines with respect to commercial outcomes the business needs to adhere to. In response to the above, we have developed a proprietary change implementation methodology that we name System7™. Built on the basis of professional practice since 2002 and tested and enhanced through a myriad of engagements, we believe that this approach adequately responds to the above, and provides us with a much greater chance of success with change engagements. What sorts of skills do change consultants require? Change Implementation is an emerging discipline and one of the reasons we have not been particularly successful over the past forty years or so, is because change has not taught with sufficient depth at a tertiary education level and in business schools. If this effort has been made, change has been taught in silos and within individual disciplines (psychology, HR, ICT being the most popular areas) without linking fundamental pieces together. 1. The most important thing that we are most interested in is whether a person is able to engage comfortably with complexity. Our work is most essentially about dealing with complex human dynamics and relationships and understanding how human complexity gives rise to complex physical systems around us (architecture, organisational structures, ICT structures, governance structures, etc.). So we look for individuals who feel comfortable with the grey between black and white, and thrive in thinking about and resolving complex organisational problems. 2. Change consultants in our view must have a deep understanding and interest in human psychology. Again, this does not mean you have a PhD in Psychology (although it might and then please contact us on the Recruitment page). Rather, it means that you are interested in what makes human beings act in the way they do (this explains motivation) as well as the way in which human beings are able to modulate their behaviour in different circumstances. The latter is particularly the case in stressful situations (this explains self control and awareness), both of which are crucial in the context of working with and diagnosing large human organisations. 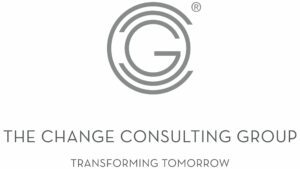 What are the benefits of using external change consultants? We can often constellate and annotate thinking and experience for clients, so that you are better able to make sense of your current experience in the workplace. This is the case from Board level down to factory floor.